ST. PAUL, Minn., Aug. 6, 2018 /PRNewswire/ -- CHS Inc. (NASDAQ: CHSCP), the nation's leading farmer-owned cooperative and a global energy, grains and foods company, has named Mary Kaul-Hottinger senior vice president, Human Resources, effective Sept. 10, 2018. "In her new role as our chief human resources officer, Mary and her team will continue to help us attract, develop and retain high-performing and diverse employees throughout our organization. The energy and passion our employees bring to CHS is vital to our continued success," says Jay Debertin, president and CEO, CHS. Kaul-Hottinger brings deep human resources leadership experience to CHS, having served most recently as vice president of human resources for Ecolab's global businesses, where she and her team supported multiple business units with more than 30,000 employees in the Americas, Europe, the Middle East, Africa and Asia Pacific. 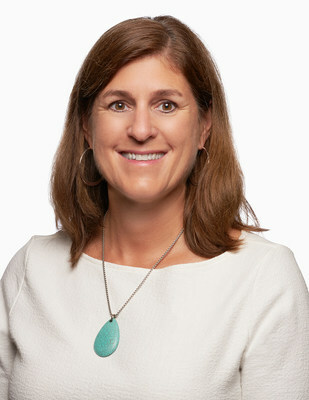 Prior to joining Ecolab in 2007, Kaul-Hottinger served in a variety of human resource leadership roles supporting operating divisions at General Mills and Pillsbury. Kaul-Hottinger is a native of Minnesota and holds a bachelor of arts degree in business administration from the University of St. Thomas.